Great ideas drive development. 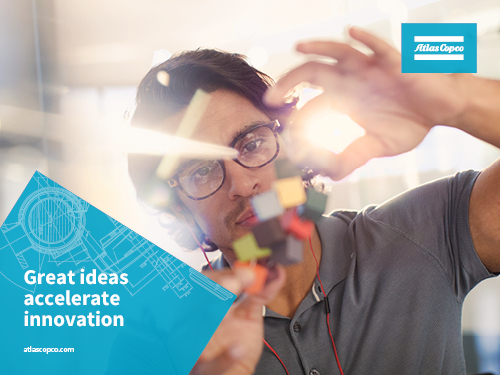 At Atlas Copco we have been turning industrial ideas into business-critical benefits since 1873. We believe in challenging the status quo, always looking for a better way. Our caring culture and leading edge technology enables us to innovate for a sustainable future. With us you become part of a global community of passionate people making tangible impact on people’s lives. Join us and make your ideas happen!